Have you or someone you know recently received a doctor's diagnosis? You probably have a lot of questions. Get tips & advice from others who've been in your shoes! Here, real people are sharing their personal experiences with specific health conditions -- to help others who are going through the same thing. You'll find everything from autism, allergies, Lyme disease, shingles and diabetes to PTSD, stress, anxiety, and panic attacks -- even sleep issues, low blood pressure, high blood pressure, and much more. CLENPIQ Colon Prep Review: A New Colonoscopy Prep Drink That’s Easy To Use & Tastes Better! My first colonoscopy a few years ago required drinking 1 gallon of a nasty tasting solution. This year, my colonoscopy prep drink was CLENPIQ instead. See why I love this new colon prep drink — it’s SO much better than other bowel prep drinks! I had no idea I was suffering from the early signs of Lyme Disease – until I got the official Lyme Disease diagnosis. Here’s how I found out I had Lyme Disease, what I’ve learned about how to treat Lyme Disease, and what it’s like living with Lyme Disease in Tennessee. 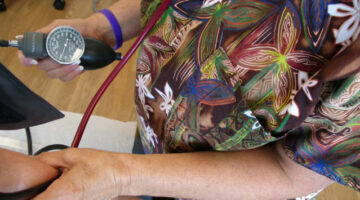 Think you might have low blood pressure? The most common symptoms of low blood pressure are lightheadedness, dizziness, and fainting — usually when you’re going from a lying down or sitting position to a standing position. I have low blood pressure. Here are 5 things that initially surprised me about low blood pressure, plus some low blood pressure treatment ideas for you to try. Scared of crossing bridges — either in a car or on foot? You may have Gephyrophobia. I had a similar fear and overcame it on my own without professional help. See how I did it… maybe these same tips will help you get over your bridge phobia too!! These are very simple things you can do to gradually minimize your fear of bridges. Have sleep problems? Me too. I recently spent the night at a Sleep Center to participate in a sleep study to see if I might have obstructive sleep apnea. Here’s what my sleep test was like (with sleep study pictures), plus some of my best tips to help you prepare for your own sleep study test. See what I wish I’d known before staying in a sleep study room and being attached to all of those sleep study wires! Want to know how to stop stammering and how to cure stuttering once and for all? I stuttered until I was 22 years old. After about 1 year of trying different things, I finally learned how to stop stuttering forever. Take it from this former stutterer, there are some rather simple techniques to stop stuttering — all it takes is consistency and patience. Here’s what worked for me. DIY Head Lice Removal: This Natural Lice Treatment Using Vinegar Is Effective! Even the mere mention of lice conjures up nasty images for most of us. But let’s face it — lice happens. And it’s best to know about head lice removal before it happens in your home. The best at home treatment for lice is vinegar. Here’s what you need to know about this natural lice treatment, plus a few other options to treat hair lice yourself. I have PTSD and I’m not a veteran. Causes of PTSD aren’t the same for everyone. You might have it and not even know it. You or someone you love might be suffering from untreated Post Traumatic Stress Disorder symptoms. I’ll take you through the causes of PTSD, how to decide which PTSD treatment options are best for you, and how to find PTSD apps and PTSD therapists to help you recover. Do you have a ganglion cyst? I do! I’ve had it for years — it comes and goes. Here’s what I’ve learned about Ganglion cysts, ganglion cyst treatment, and ganglion cyst removal. Basically a ganglion cyst does not require treatment, but if it’s causing you pain or is just in a bad spot then you might want to have it surgically removed. Here’s what I’ve learned. I see a chiropractor for back, neck, and shoulder pain. My chiropractor gave me his tips for the best sleep positions, how to keep your body in alignment yourself, and how to treat lower back pain — so I’m sharing them with you. A number of helpful essential oils for ears listed here. See why I like Basil, Helichrysum & Cajeput as the top 3 for earaches, hearing loss & ringing ears. What do exercise, meditation & reading have in common? I’ve found them all to be great when dealing with anxiety. Plus 4 more natural ways to treat anxiety. Tired of allergies and OTC medications? Incorporate these natural allergy remedies into your life – from neti pots to steam baths. You’ll finally get relief. Frequently constipated? Feel bloated & gassy? Here are 4 ways to get constipation relief… naturally. The fastest one: raise your knees! I have a pollen allergy. If you do too, then you’ll appreciate these 5 simple things you can do to avoid pollen – inside and outside of your home. I always started sneezing and coughing when the real Christmas tree was brought into the home. My parents joked that maybe I had tree allergies. Actually, it was most likely Christmas tree mold! 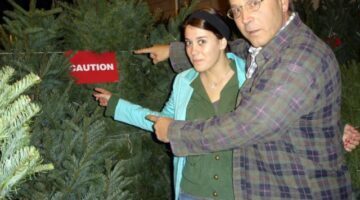 Here’s what you need to know about tree mold BEFORE you bring a Christmas tree into your home. There are many tricks and alternatives to suffering from tree allergies this holiday. Are you tired of seasonal allergies? So am I. Here are 5 tips that have helped me cope with my seasonal sneezes and wheezes. 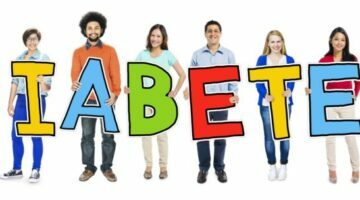 When I learned I was close to having pre-diabetes (also known as impaired glucose tolerance), I started looking to diabetes support groups for information on how to avoid becoming diabetic. Here’s where you can find the help you need to prevent pre-diabetes. Whether you call it hay fever, seasonal allergies, or allergic rhinitis, here are 2 things I’ve learned about treating seasonal allergies: (1) An allergy remedy that works great for Person A doesn’t necessarily work for Person B and (2) Something that works well for you now may become less effective over time. Here are the OTC meds that I’ve found work best for seasonal allergies. I have firsthand experience with Asperger’s and the meltdowns, tantrums, and shutdowns that frequently result. My grandson has Asperger’s. Here’s how we ultimately learned to deal with and manage his anxiety and Asperger’s meltdowns. I suffered from panic attacks and was diagnosed with panic disorder. See all of the natural remedies for panic attacks that worked for me. As a result, I don’t have panic attacks anymore. Brandon has Asperger’s Syndrome. It’s a developmental disorder on the autism spectrum. Brandon is high-functioning autistic. Here are some of the early symptoms of Asperger’s Syndrome and how we dealt with each of them along the way.